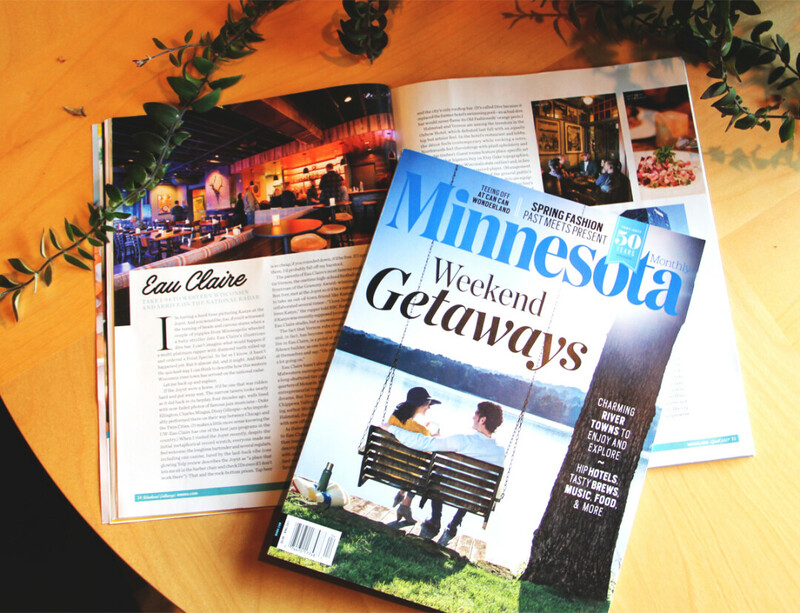 More and more, Eau Claire is listed and profiled by publications in Minnesota as a great place for a weekend getaway or a day trip. Just last month, Minnesota Public Radio featured a number of local eateries and bars in a segment on destination dining. 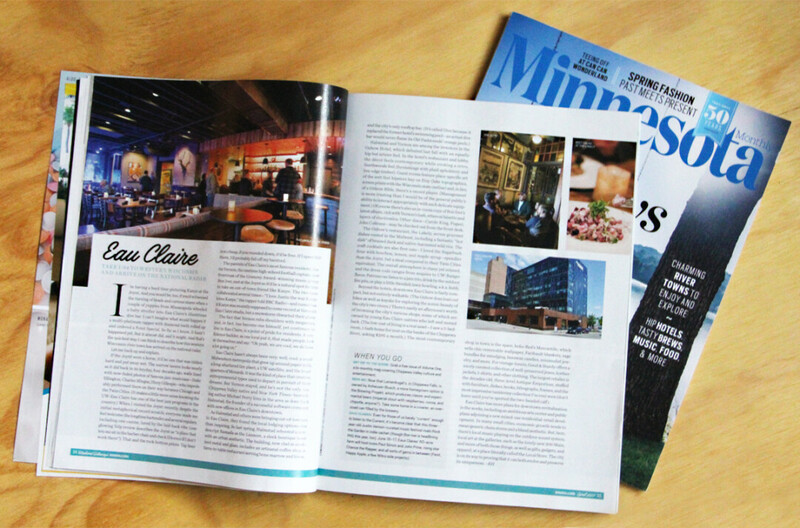 And now Eau Claire has a two-page spread in the April issue of Minnesota Monthly, which covers arts, food, style, living, and travel in and around our neighboring state. The whole issue is devoted to weekend vacations. On Good & Sturdy ... “For vintage-lovers, Good & Sturdy offers a nicely curated collection of well-preserved jeans, leather jackets, t-shirts, and other clothing." On top of all that, the issue’s Editor’s Note from Hutton is all about what she calls “quickcations,” or short trips to towns you don’t normally consider as destination spots – complete with a photo of a bedroom at The Oxbow Hotel.